West Baumaschinen GmbH provides your company with high quality wear and tear parts for heavy equipment concerning building construction, civil engineering, landscaping and the recycling industry. We offer for a wide range of products of well-known brands like Terex Fuchs, Linde, Caterpillar, Volvo, Hitachi etc. 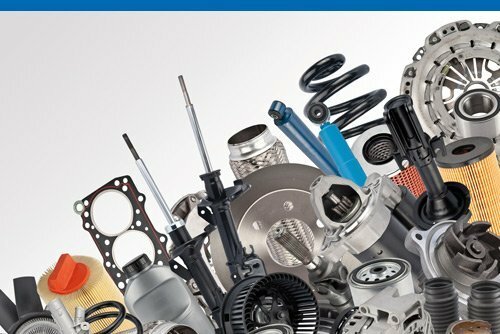 We also deliver spare parts for diesel engines regarding the following brands: Cummins, Caterpillar, Deutz etc. Please do not hesitate to contact us if you need spare parts from other manufacturers. We are also able to provide you with new, refurbished or repaired motor starters and alternators from Bosch. These items are subject to rigorous testing. This helps to avoid technical problems and guarantees trouble free operation. Our services include delivery of filters for industrial lines like Argo-Hytos, Baldwin, Fleetguard, SF and construction machines, cars and trucks. WGB also offers spare parts for material handling machines manufactured by Terex Fuchs. We supply a long list of spare parts for the scrap metal recycling industry and a wide range of hydraulic parts for all kinds of hydraulic lines. We are your experienced and reliable partner for all kind of needs in the recycling sector. We offer spare part guarantee for 6 months on all parts sold.